East Meadow, New York, USA. March 31, 2012. 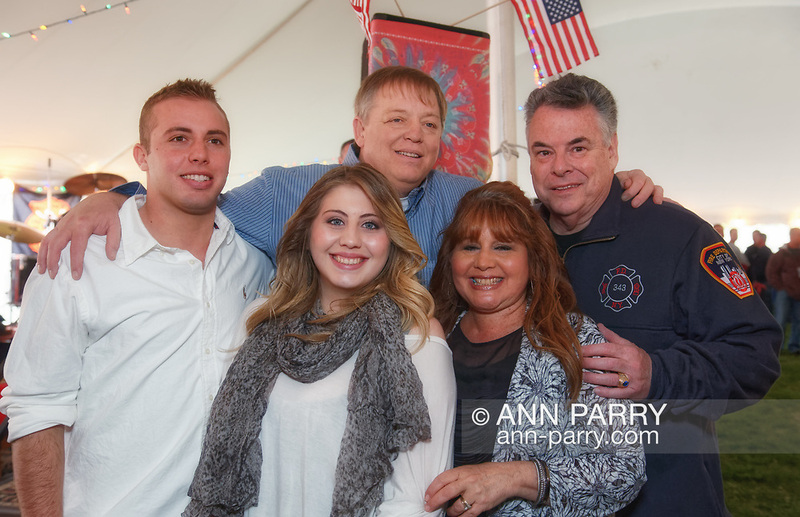 Firefighter Ray Pfeifer, his wife Caryn Pfeifer, their son Terrence Pfeifer and daughter Taylor Pfeifer, and New York Congressman Pete King pose for picture at Fundraiser for Ray Pfeifer - battling cancer after months of recovery efforts at Ground Zero following 9/11 2001 Twin Towers attack = at East Meadow Firefighters Benevolent Hall.